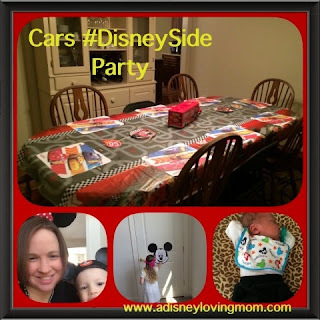 Running on Pixie Dust: Our Cars #DisneySide @ Home Celebration! Our Cars #DisneySide @ Home Celebration! 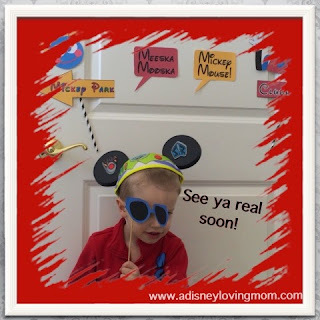 I received free products in order to host the #DisneySide @Home Celebration. The opinions expressed here are my own. 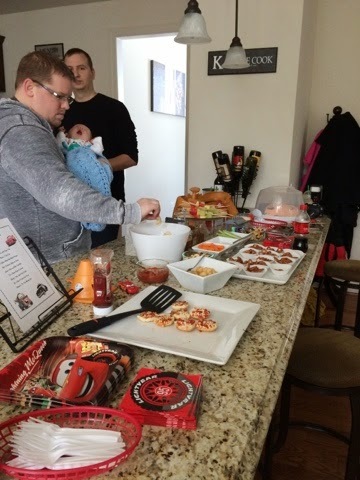 On February 28th, we hosted our Disney Side party! We were excited to invite friends and family to our house to celebrate our love of Disney and gather young Disney fans to enjoy food, fun, and festivities. 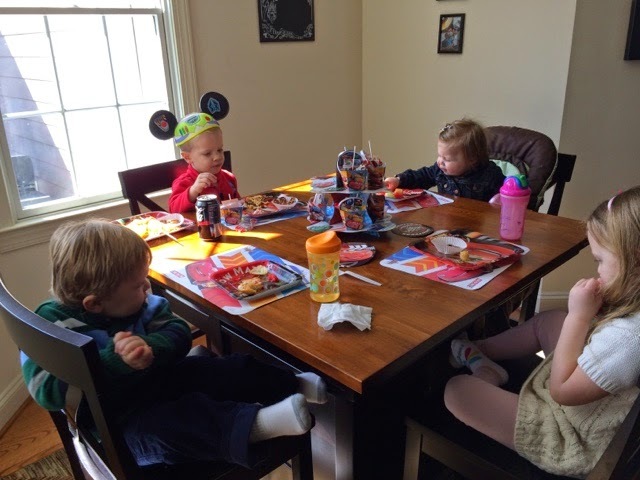 With the cold, ice, and snow that have plagued the Mid-Atlantic this winter, the Disney Side party was a great distraction. The guests at our party ranged in age from 3 weeks to 63, proving that everyone can have fun with Cars! As everyone arrived, there was food and Cars coloring pages waiting along with the Disney Parks Vacation Planning DVD. The menu consisted of some Radiator Springs favorites including Mater's Tater Tots, Sarge's Nuts and Bolts Trail Mix, and Luigi's Casa della Pizza. All of the food was a hit and it was a great way to start off the day. 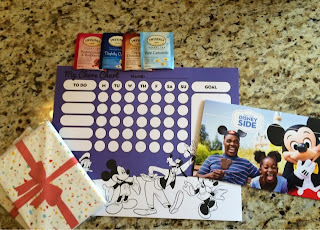 After the food, we headed off to play Pin the Smile on Mickey - one of the games included in our Disney Side celebration box. Our partygoers enjoyed the game and we had one smile that was almost perfect! We used some of the games and toys from our Disney Side box as prizes for the game. 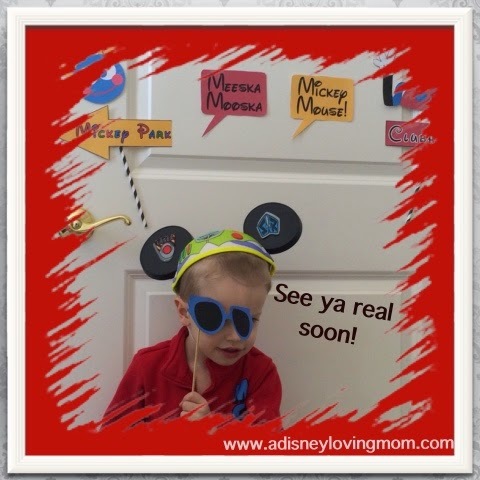 We also had fun in our Show your #DisneySide photo booth. Kids and adults alike enjoyed using some props show our Disney Side! We were also planning on playing Disney Bingo, but our preschool crowd was losing focus on organized activities and just wanted to enjoy each other so we skipped the second game and let the kids play in my son's Jake and the Neverland Pirates bedroom. Not surprisingly, our Disney Side is not limited to one party on one day - we show it everyday in our house! 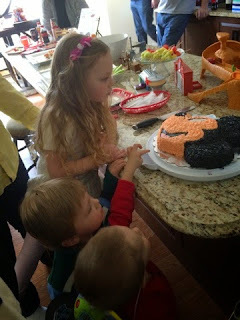 The Mickey cake was a big hit with partygoers - especially the kids! 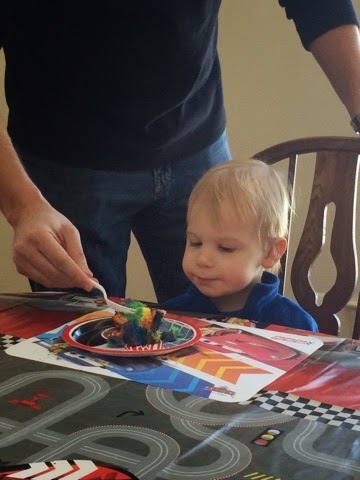 They all enjoyed the festive tie-dye Duff cake and the sugar rush was enough to keep them all partying straight through nap time. While the kids ran and played, the adults enjoyed each other's company. I even got the chance to talk with my cousin about his potential plans to take his family of 5 to Disney this fall. 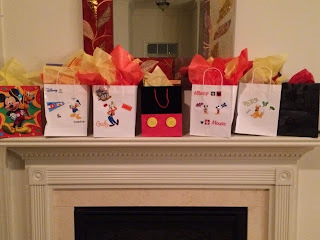 Each family left the party with a gift bag of goodies supplied in our Disney Side celebration box. Guests received HP photo paper, Twinings Tea, Disney Parks luggage tags, and Disney Side chore charts. The kids also took home Cars favor boxes with some candy and Cars stickers from our party box. 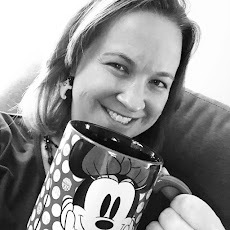 I felt fortunate to have been selected to host a #DisneySide @ Home Celebration and want to thank all of the sponsors for their amazing generosity, especially BSM Media and Disney Parks. Remember Disney fans, there are always wonderful ways to let your Disney Side shine each and every day. 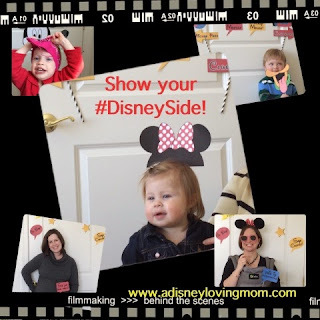 For ideas about letting your Disney Side shine, visit www.disneysidecelebrations.com and follow #DisneySide on social media.